How awesome is your band? Is it so awesome it's electric? Is it so cool it creates literally visible music notes like a cartoon? 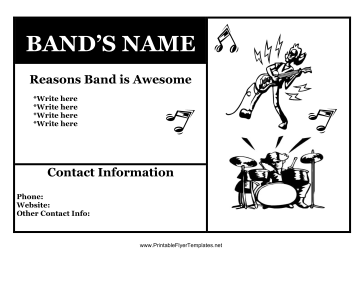 Well, whatever reason your band is awesome, this flyer will be perfect for advertising upcoming events. And, since bands are often on a budget, it is in black and white for cheaper printing.